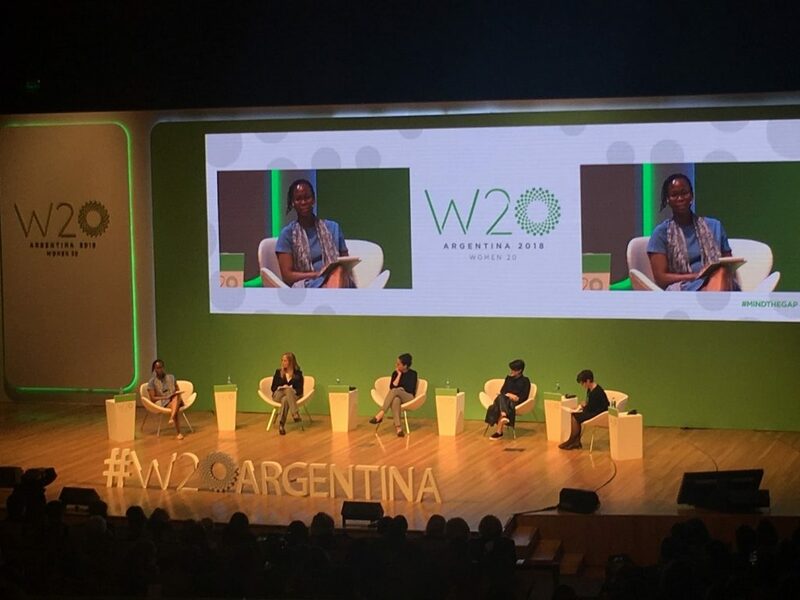 I recently had the opportunity to attend The W20 (Women 20) Summit, which is part of the G20 Summit held in Buenos Aires, Argentina this year. The W20 is a transnational network dedicated to narrowing the inequality gap between male and females around the world. By closing the gender gap, global GDP could increase by 26% or 5.3 trillion dollars by 2025. The summit itself revolved around four principal challenges: financial inclusion, increase and improve labor participation, digital inclusion and development of rural women. This panel started with a speech from Sonia Jorge (World Web Foundation) where she emphasized that “Technology is not neutral regarding gender. It is fundamental to include women in the process of technology conception”. The quote was often repeated throughout the panel that included four leaders from the private and public sector. The panel highlighted that women are underrepresented in technology, beginning with educational opportunities and throughout many other areas where technology is used. According to ITU’s (International Telecommunication Union) latest research, globally 200 million fewer women than men have access to mobile phones. Furthermore, worldwide the proportion of women using the internet is 12% lower. This gap widens exponentially in the low- and middle-income countries. Although men also suffer from structural inequalities, women are more likely to experience them due to social and economic barriers such as having less income, less access to education, banking, etc. Cristina Ruelas (Regional Director from Article 19) shared a story to illustrate how enabling internet access to women in a few indigenous villages in Mexico significantly improved the quality of life of the whole village. Article 19 (a British human rights organization) approached disenfranchised women that lived in these communities who were not allowed to participate in the town meetings. These women felt that they were not respected by the men of the village because they had no access to information. Hearing this, the NGO provided these women with an internet connection, devices to access to it, and instructions on how these new resources. After a few months of using their new found resources, these women realized that the Mexican government had assigned a doctor to provide health care to the village on a regular basis. However the doctor almost never came to the village, so they were not compliant with their assigned job. Furthermore, the doctor was withholding all the supplies of vaccines and other basic OTC medicines that the Government supplied the village. The villages reported the situation to the Government. Presently these villages now know when the doctor is supposed to visit them and which vaccines and other supplies that they should receive. This action resulted in improved care and healthier families. Last but not least, women also are now accepted into the villages’ assemblies. All this would have not been possible without providing internet access to these women. 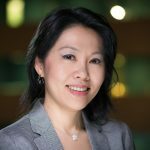 The W20 Summit also emphasized that women are underrepresented at senior leadership positions in the technology industry and digital space. This gap often starts at school and continues in the workplace in both developed and developing countries. According to UNESCO women are less likely to enter in STEM (Science, Technology, Engineering and Mathematics) disciplines and more likely to leave them. Currently, young women represent only 35% of students enrolled in STEM-oriented careers. The W20 is looking at ways to narrow this gap. The digital gender gap will unlikely narrow on its own without the intervention of all its stakeholders. The G20 is committing efforts to increase women’s digital inclusion. As the gap narrows and women become more empowered, there are also new opportunities that arise in the private sector. This can affect areas such as digital platforms, mobile phone or mobile money usage as more women engage in these activities boosting growth in these markets which becomes beneficial for all those involved.